It wasn’t just her voice that made Dusty Springfield so distinctive. In 1964, she was deported from South Africa for refusing to play to segregated audiences. She was the first singer to be open about their bisexuality and she championed black artists in the UK. But behind the beehive and eye shadow was a tragic individual brimming with self-loathing and doubt, and one who struggled with her mental health, sexuality and substance misuse. Jonathan Harvey’s play nestles somewhere in between musical biopic and jukebox musical, and looks at Springfield’s life from her first solo hit to her death in 1999, without shying away from her darker years and the troubles which blighted her private life. Katherine Kingsley is quite simply outstanding, with a performance that captures the look, sound and emotions of the iconic performer to perfection, particularly in the show’s denouement, with a powerhouse performance of “You Don’t Have to Say You Love Me”; whilst Joanna Francis stands out as Lois, Springfield’s long term partner, with a voice which drips pure soul. 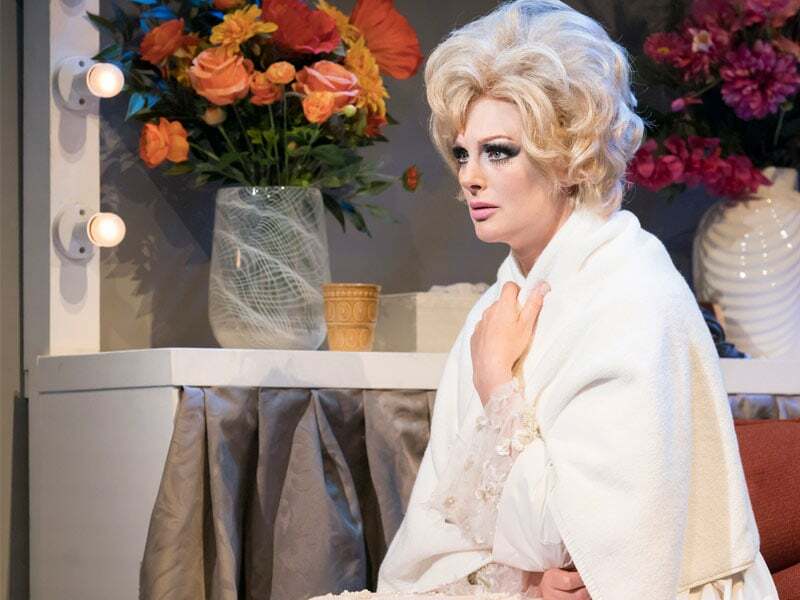 Harvey’s script is warm and instantly accessible, although a little clumsy at times in its mixture of high drama and sitcom humour; and whilst the songs are undeniable classics and span the length of her career, they are perhaps not abundant enough. Whilst the production values overall require some spit and polish, the enthusiasm of the cast and some outstanding performances elevate Dusty to a suitable, heartfelt and, ultimately, very enjoyable tribute to a classic artist. Dusty is at Sheffield Lyceum Theatre until the 14 th July 2018.